This entry was posted on September 10, 2013 by Avel Ureno. Football season is back in full swing and if you plan on hosting parties for those big game days, you know that you are going to want to be fully prepared so you don’t have to miss out on any of the action. 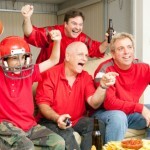 Today’s cutting-edge technology can help you and your friends enjoy this football season more than ever before. However, your technology is only as good as the power behind it. Before you invite your friends over for your next football party, create a checklist of all the batteries and other devices that you will need to prevent a potential game day fiasco. During a commercial break, you and your guests may feel tempted to change the channel to another football game. However, if you don’t have fresh batteries available, your remote control batteries may fail at the worst possible moment, trapping your house party in the never-ending torment of the Home Shopping Network. Prepare for this foe by stocking up on a variety of batteries to power all of your remote controls. 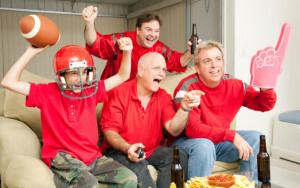 If you prefer to use rechargeable batteries for your devices, charge a few the night before your football party. Depending on your climate, you may need some help to get your den or living room to a comfortable temperature. During a heat wave, fans can help keep the air in your football cave fresh and cool. You can also use portable air conditioning units, but be sure the batteries are completely charged so guests can enjoy the full game in comfort. On the other hand, if the weather is on the cooler end, but it’s still too early to turn on your house’s heating unit, consider purchasing a portable battery powered heater. These will keep friends warm during the long games while not consuming as much energy. Again, be sure the batteries are full or you have back ups…you never know how long those football games can last! During the football season, a heavy thunderstorm or blizzard may knock out your power in the middle of a pivotal fourth-quarter drive. However, depending on your cable subscription, you may be able to watch the game online. If you have a laptop, connect it to the game as soon as it’s available. Be sure that the laptop’s battery is fully charged before the game starts. To preserve your Internet connection, invest in an uninterruptible power supply to keep your modem and router powered throughout the blackout. You may be able to watch the game on your mobile phone as well. Keep an extra charger and a spare battery handy so that you won’t miss any of the action. Finally, get a battery-powered radio or portable television ready as a final backup option. Make sure that you have the right batteries before game day. If you want to really impress your guests, prepare your radio ahead of time by tuning to the correct station. You won’t miss a single second of the game, even if your television decides its seen its last day. If you plan to take your football party to the stadium parking lot, you need a few essentials to keep the power flowing. For your pre-game entertainment, you’ll need to bring a fully charged mobile device, such as a tablet, to provide some quality tunes for your friends. A backup battery will help the music last for hours. Don’t forget extra batteries for you cameras and camcorders, there will be plenty of memories made at these fun events that you will want to be able to look back on. Throwing the perfect football party means plenty of planning before the big game. Though it may be tempting to focus only on creating the perfect plate of nachos, don’t forget to ensure you’ve got the essentials covered to guarantee a stress-free game day event.